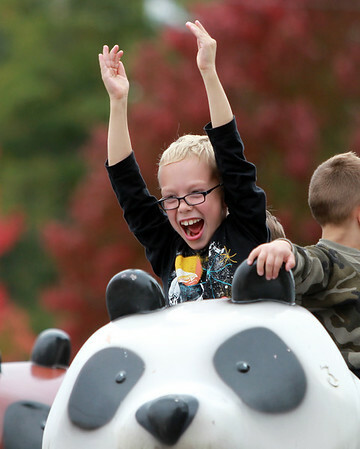 Damien O'Neil, 8, of Haverhill, throws his hands in the air as he twirls around on a ride at the Topsfield Fair on Monday afternoon. DAVID LE/Staff photo. 10/13/14.